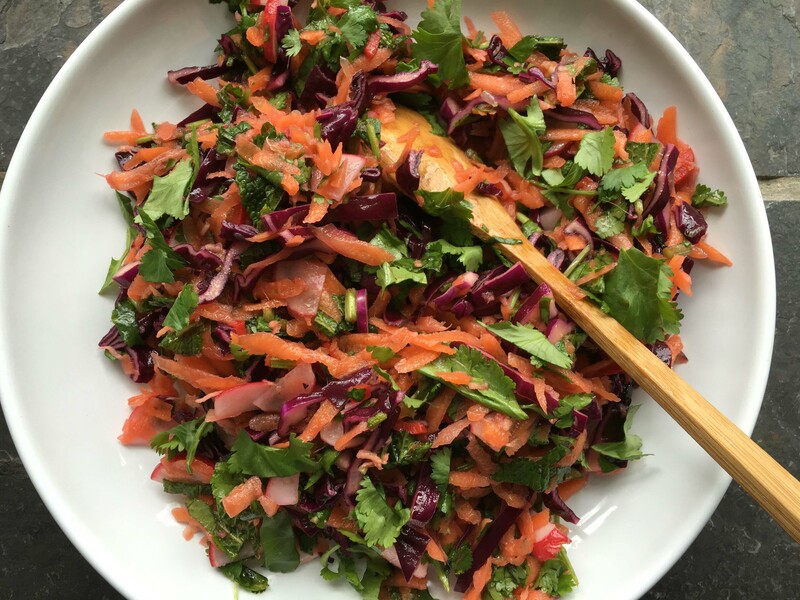 This entry was posted in Food, Salads, Vegetables and tagged carrots, chilli, coriander, ginger, lime, mint, red cabbage, salad, slaw by Anna. Bookmark the permalink. Thank you Louise, there is nothing better than eating something that tastes good and feeling it doing you good! I’m with you on the slaw situation, Anna. 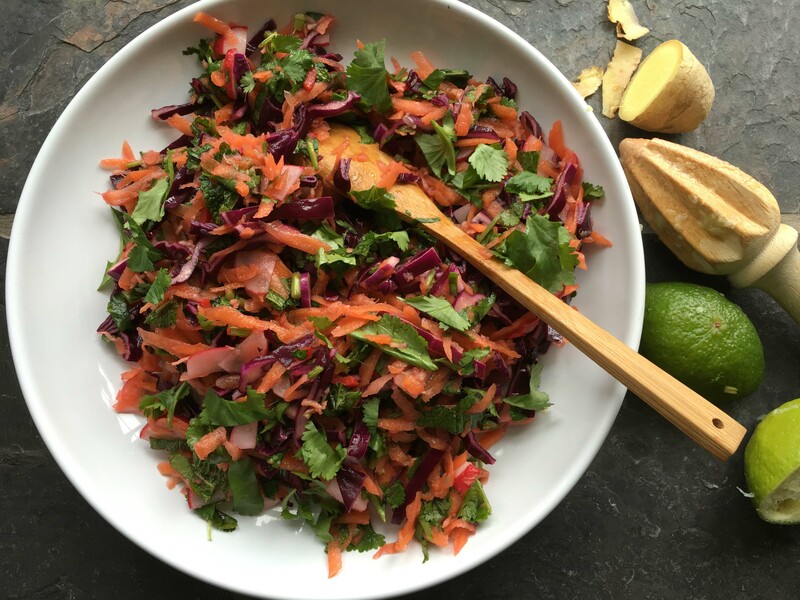 I recently had a mango, jicama and cilantro slaw with a spicy dressing that was very good – sweet, crunch, spicy and tart all at once. I’m looking forward to trying your version. That sounds amazing! I don’t think we get a lot of jicama here, is it like a big white radish or am I thinking of something else?! Gorgeous! Sometimes I actually place the grated veggies on paper towels so they’re not quite as “wet” before I toss the salad together. I really love the varieties that are possible with slaws! Such a good idea Mimi, I will definitely try that!